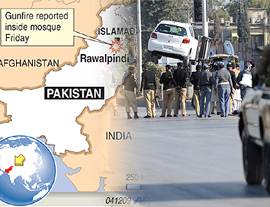 Prominent Religious scholar shot dead with three other close associates in Karachi. 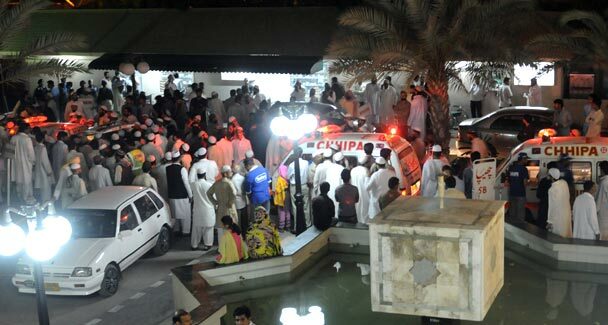 People gather around the ambulances carrying the bodies of slain religious leader Mufti Saeed Jalalpuri and companions, who were killed in the overnight gun attack, at a hospital in Karachi on March 12, 2010. – Photo by AFP. KARACHI: Panic gripped the city when a senior cleric of a religious organisation, his son and two associates were gunned down on Thursday night. 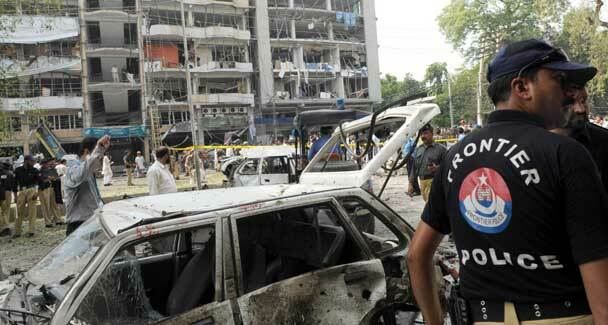 The injured were taken to Abbasi Shaheed Hospital. 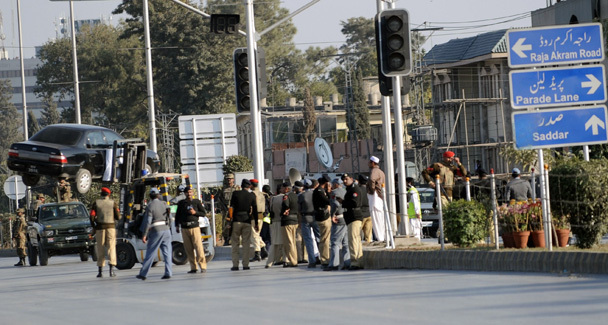 Additional Police Surgeon Dr Liaquat Memon said that one of the injured had been brought dead to the hospital. Maulana Nadeem received two bullets in his right and left hands and one in the abdomen. Mauvia suffered multiple bullet wounds in the head and torso and died on the spot. 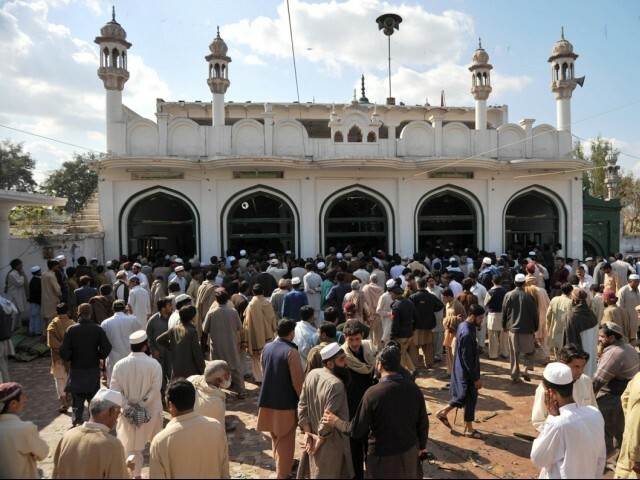 Maulana Aurengzeb Farooqi, the organisation’s Karachi president, told Dawn that funeral prayers of Mauvia Nadeem would be offered outside the Chief Minister’s House on Friday. Lesson of intolerance in Pak educational curriculum : How the anti-Indian, inhumane venom are injected in the student minds. THOHA BAHADUR, PAKISTAN–When towns and villages in a stretch of verdant Punjabi farmland had the chance to have cable TV installed in every home earlier this year, most jumped at the offer. 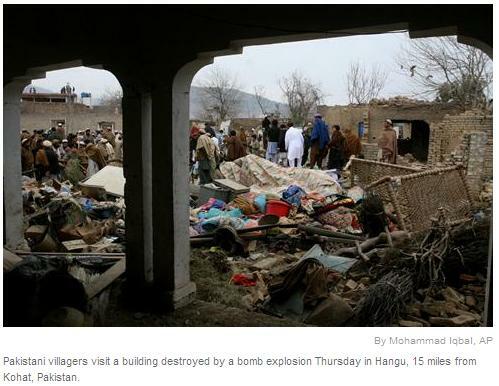 But elders in this village of 7,000 a few hours south of Islamabad said no. They weren’t interested in watching death and despair play out on 24-hour news channels. So it’s interesting to hear how students in this village of wheat and rice farmers perceive their country and its neighbours. Most everything they’ve learned comes courtesy of textbooks and teachers. On a recent afternoon, one of the 250 students who attend one of Thoha Bahadur’s public schools, shared his views about India, Pakistan’s neighbour and archrival. “Its natural minerals,” said 12-year-old Ashir Hussain. Asked why he believes this, he cites his teachers and textbooks. 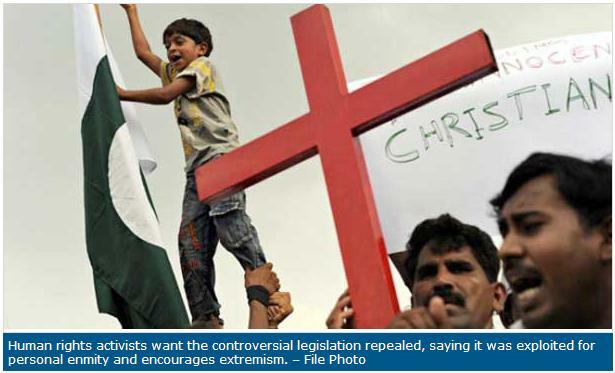 Hussain’s attitude highlights a protracted debate in Pakistan over how religious extremists are made. While some political leaders here and abroad have ratcheted up warnings about madrassas, charging the religious schools fuel Islamic militancy and stoke hatred for the west, some scholars say the real problem is Pakistan’s underfunded public schools and their often incendiary textbooks. Another textbook used by students throughout Punjab, Pakistan’s most populous state, is called “Social Studies for Class V.” It begins: “Islam gives women a high position of respect whereas Hinduism gives a very low place to women.” The same book outlines the concept of jihad. Texts for older students offer more of the same. “Social Studies for Class VIII” describes how during the 19th century, “the Hindu racists were not only against Muslims but also against all other minorities …” The book charges Hindus and Sikhs practised ethnic cleansing during partition in 1947 when India and Pakistan were carved out of British India and became independent states. While the Pakistani Ministry of Education in 2006 said it would remove some of the incendiary language, several educational experts say that hasn’t happened. A researcher in Islamabad with the Sustainable Development Policy Institute, Ahmad Salim says he’s been battling the government over textbooks for years. Sitting on a bright orange couch in his living room in a quiet residential neighbourhood of Pakistan’s capital, Salim said he’s collected evidence that shows public-school texts are littered with anti-India, xenophobic passages that promote contempt for non-Muslims. But that ideology began to change in 1971, he said, when Pakistan battled an uprising in East Pakistan. Pakistan lost – thanks in part to India’s decision to send in troops – and the territory became independent Bangladesh. From that point on, textbooks began dropping references to non-Muslim historical characters, promoting heroes of Islam and excoriating India. Nearly 40 years on, the curriculum remains controversial and even as the government promises change, some experts say the pledge rings hollow. 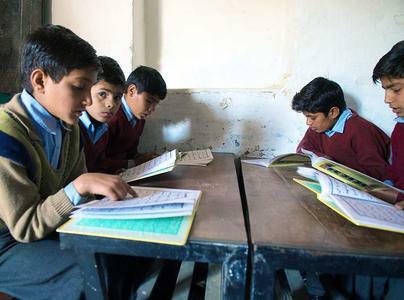 For instance, Jatoi said the textbook board recently told the World Bank and other funding agencies that a section quoting Surah At-Tawba, a section of the Qur’an, had been removed from ninth- and tenth-grade textbooks. “They said it was removed, but really it was just moved to Grade 11 and 12 books,” Jatoi said. Aurangzeb Rehman, the education ministry’s policy and planning advisor, declined to comment while a ministry spokesperson didn’t return repeated calls. One of the hurdles educators face is simply keeping pace with Pakistan’s surging population. When the country was carved out of British India in 1947, it had roughly the same population as Iran, said Abid Qayyum Sulehri, an Islamabad economist. 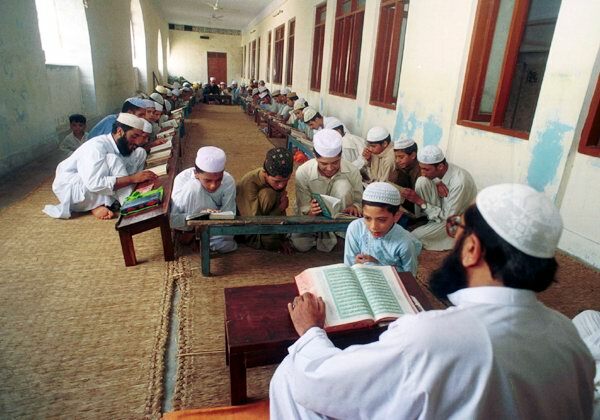 More than 20 million students attend public schools in Pakistan, compared with the 1.5 million who go to madrassas. Yet instead of buttressing social programs such as education, Pakistan still pumps roughly one-third of its $29 billion (U.S.) budget into the military. And as the country’s security situation deteriorates, even more money is being re-allocated to the military, Sulehri said, noting Pakistan now spends less than 2 per cent of its GDP on education. Textbooks are supposed to be issued by provincial boards each year, but several schools visited by the Star were using undated battered texts full of hand-written notes and torn pages. In Thoha Bahadur, a teacher said he couldn’t recall the last time textbooks were replaced. 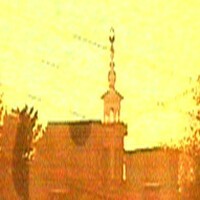 Minorities in Pakistan are forced to give Jazai or Islamic Tax. Denial means Capital Punishment. Two Sikhs who were kidnapped over a month back have been beheaded by the Pakistani Taliban in the country’s restive tribal belt. 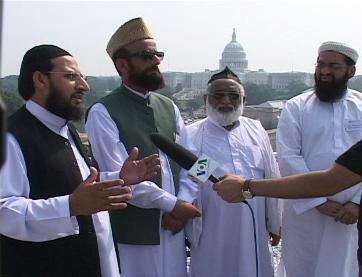 Some more members of the minority community are still in the custody of the (^ Pic. from JIhad News ^) rebels. The body of Jaspal Singh was found in the Khyber tribal region, located a short distance from Peshawar, while the body of Mahal Singh was found in the Aurakzai Agency, sources told PTI on Sunday. 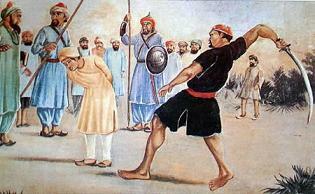 Sources said the Sikhs were kidnapped from the Bara area of Khyber Agency by the Tehrik-e-Taliban Pakistan. 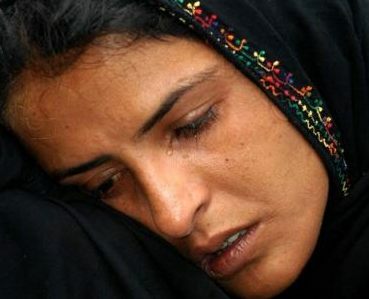 They were kidnapped 34 days ago and the Taliban had demanded Rs 30 million as ransom. 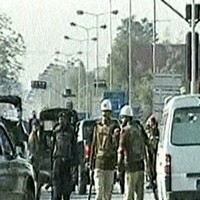 Two of the Sikhs were beheaded after the expiry of the deadline for the ransom payment, sources said. 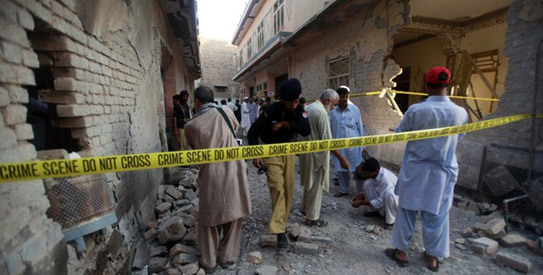 Militants in Orakzai and Tirah Valley have been charging the non-Muslim residents Jazai or Islamic Tax on the pretext of providing security to them and their business in the area. A large number of Sikhs have migrated from Orakzai after being threatened by Hakimullah Mehsud led militants. 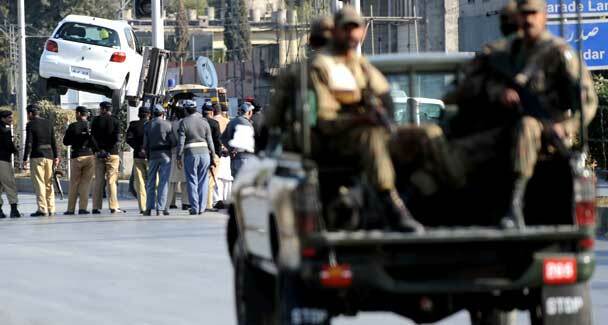 The kidnapping occurred in an area where there the government has virtually no control and the militants are in a dominant position, sources said. And Islamic intolerance in Pakistan has already finished the Hindu-Sikh minorities in the country strangling their number in 1.86% from a sizeable number of 16% of Hindu-Sikh community even in 1950. Courtesy : Hindustan Times/ AP/Others. ISLAMABAD, Feb 5: Taliban flog two men and a teenage boy in a video that has emerged from the Orakzai Agency, showing the hold of militants in the area despite army offensives and intensified US missile strikes. The video was shot on a mobile phone on Feb 3 and passed to a local journalist. A tribal elder who provided the clip said it was taken in Mamozai area and requested anonymity out of fear for his life. 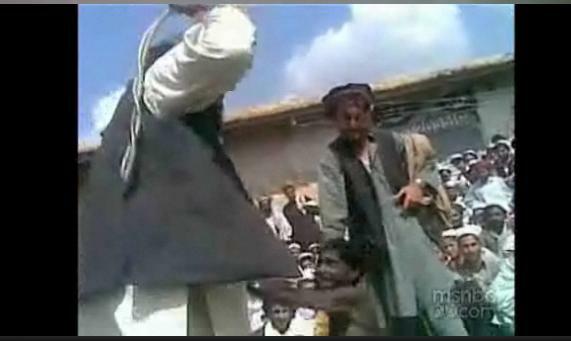 Using a piece of rope or leather, a militant repeatedly strikes a man who wears trousers but no shirt, and who looks to be covered in dirt or soot. The man at times has to be restrained. He falls to the ground repeatedly, but is hauled back up during the beating. The tribal elder said the man was being punished for allegedly “working against the Taliban” by speaking out against them. 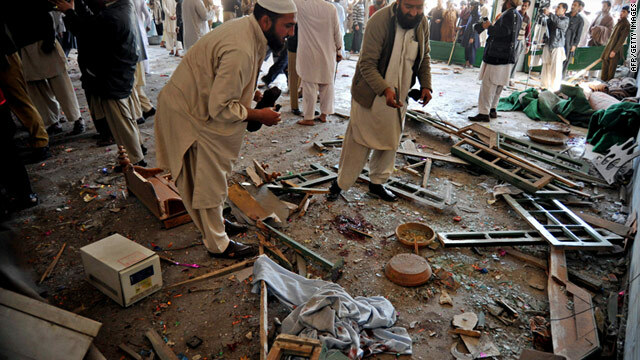 More reports of the supremacist hate and violence from the Taliban in Pakistan reported from Associated Press today. The second victim appears to be a teenage boy who the elder said was being blamed for not growing a beard. 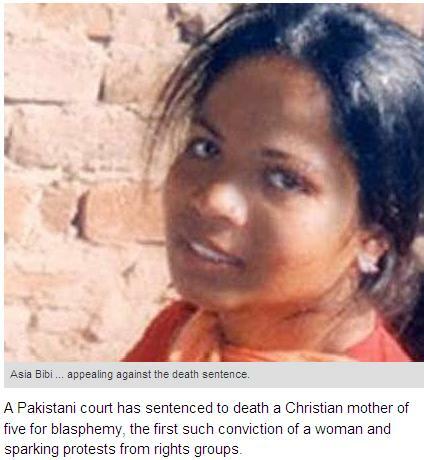 The third victim was said to be punished for not praying.A crowd of men and boys watched the beatings, mostly in silence. As the audience rise to leave, a man announces that an “old man with white beard” is to be detained for five days and “if he improves” during his detention the militants would take another look at his case. His crime was not announced.